on putting together a potting bench. which is on sale now. plus potting benches, sheds, and outdoor spaces and dining. I think I found mine at Barnes and Noble back in April. Below, is a sneak peek photo of my own potting bench. I've been having a lot of fun with it. as Friday, (tomorrow) I'll be having a day in the hospital for some heart tests. So, I may be a little late on making visits and comments. 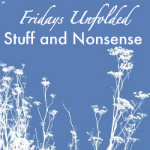 because there were so many great links from last week that I wanted to share. and I'll be back by the end of the weekend. She'll know where I am. You all are the best with coming up with fun vintage ideas. 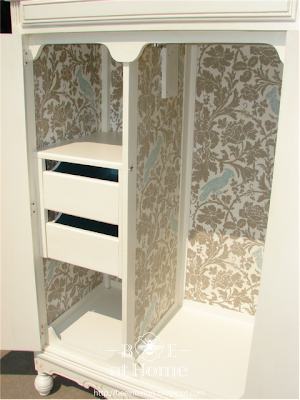 restored the most amazing armoire. You have to peek inside! 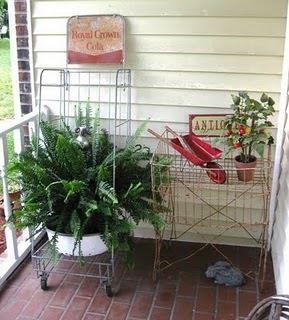 shared her gorgeous ferns in all kinds of "junk" containers. ( I have a necklace give away planned. I'm linking with these other great weekend parties! Can't wait to see how your potting bench turns out...the photos are beautiful! 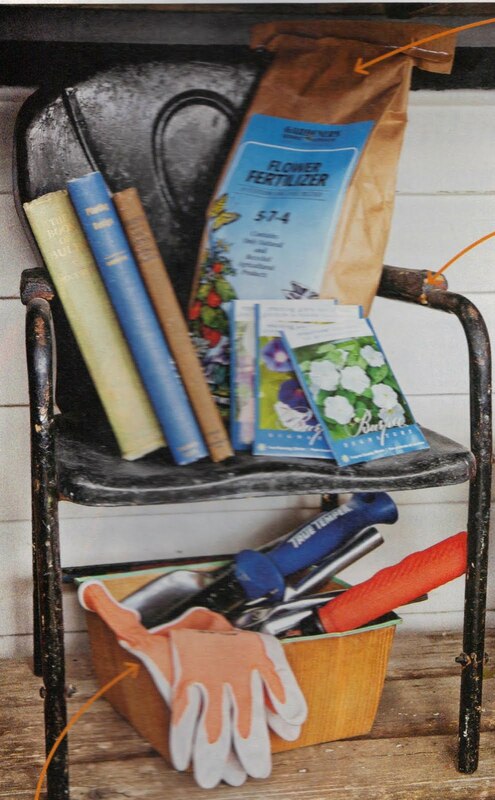 I've been collecting potting bench inspiration too....wanting to put together my own. Can't wait to see your's! Hope your appointment goes well tomorrow. Thanks for hosting the party again this week. Thanks for sharing the pics, Deborah! They're awesome, can't wait to see your potting bench/area! My thoughts are with you as you go in for the tests, my daughter just went too for heart tests, and found out she has "bundle block".. she has to continue getting more tests to see what meds to put her on. She's only 20. Crazy. 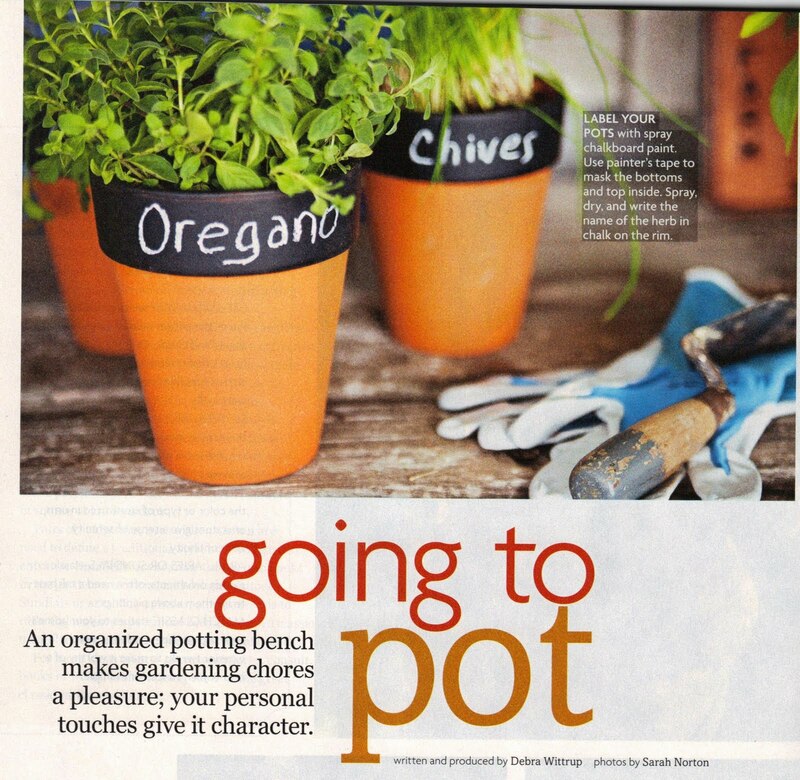 Thanks for hosting, and I can't wait to see more of your potting bench. Looks cute already! Great ideas and I would love to have one some day and a green house. Thanks for hosting. I'm praying for you right now Debra. Be well, and thanks for hosting. I've been working on mine in fact I started right after reading your post and seeing all those great pictures of potting benches.! Thanks for posting and hosting such a neat party! Hope all goes well with your appointment. Will say a little prayer for you. Thanks for having us too. Hope that there is nothing wrong with your heart, will be praying for you! I'm sending good thoughts to you for tomorrow! And thank you for the inspiration, I have been working in the yard and you have given me some good ideas. Sending lots of prayers your Debra:-) Loving all the potting benches you've shared and also looking forward to checking out everyone's blog at the Blog Party coming up next week. My prayers are with you and I hope everything will be fine. Warm Hugs & thoughts for you, Debra. I had a catheter ablation for supraventriclar tachacardia done when I was 21. The procedure was a success.. but if I drink something too sugary (Mc D's strawberry lemonade slushy thing!!) it will start to go into arrythmia for like 3 seconds then go away.. so strange. 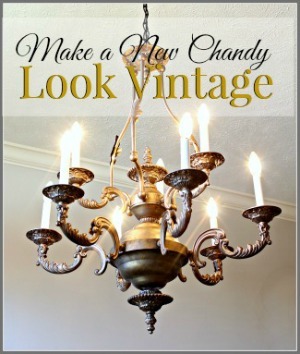 thank you for hosting vintage inspiration fridays, debra. i'll be thinking of your tomorrow, during your tests. I forgot to say that I will be praying for you, everything will turn out fine! I can't wait to see your potting bench. Love all these inspiration photos! I just love the idea of having a potting bench. 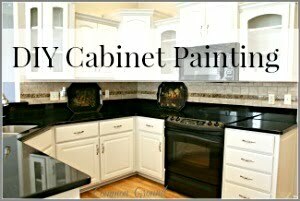 I can't wait to see your finished project. All of the photos are so inspirational. My thoughts and prayers are with you and I hope all will be well with your tests. Good luck with your tests, I will keep you in my prayers. I hope your tests turn out just fine tomorrow. Sending good thoughts and prayers your way. Hope all goes well with your tests. I'll be thinking about you. My potting bench is one of those old steel tables from the forties or fifties like we use to see when we were kids in grandma's kitchen. 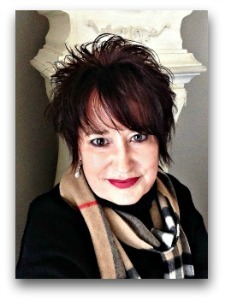 I'm loving that Carolyn Westbrook photo! 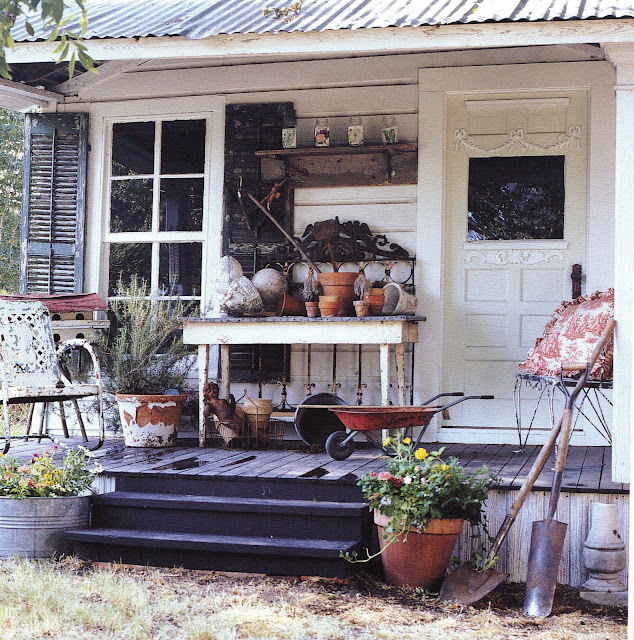 Someday I'd like to come home to a porch like that! I'm keeping my fingers crossed that you tests turn out okay. Thoughts for you tomorrow while you have your tests. Praying everything will turn out good!! I picked up a few good ideas from your post here! Thanks! And thanks for hosting!! Thank you so much for hosting, Debra...I wish you the best for tomorrow...and those potting benches are to die for! Hi Debra! 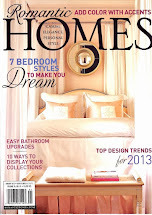 Oh, I need to look for this magazine! Every picture you showed is wonderful! What great inspiration. I will keep you in my prayers tomorrow. Thank you for hosting. Sending prayers and well wishes your way. I hope all goes well tomorrow. Hi Debra, I pray that all of your tests will go well tomorrow. I just love potting benches. I made one last summer. I look forward to seeing yours. Next week's parties sound like so much fun! Debra, We will be praying for you that your day is as stress free as possible tomorrow and that the results of your tests are favorable. Sending you a hug! Thank you for hosting the party in spite of all you have going on. Can't wait until next week! we will all be saying a prayer for you. all will be all right! thanks for sharing gone to pot. 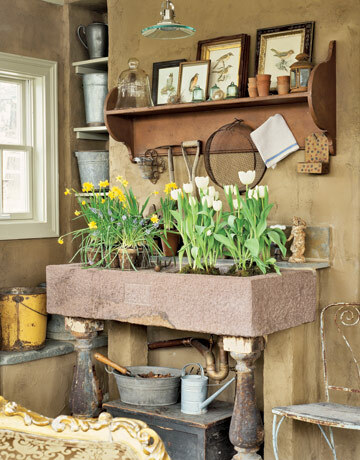 love potting sheds and tables. thanks for hosting a great party. You're in my prayers. I hope that your tests go well! LOVe all of the potting benches. 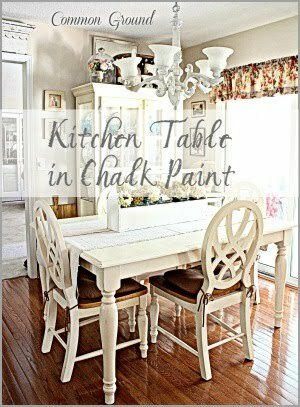 I think if I had the one on wheels with the zinc top, it would be in my kitchen! Dear Debra: You said feel free to comment BIG! "Missing in action" doesn't sound so good! Sending love and prayers your way! I hope all goes well! 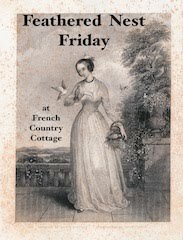 This week my link is Vintage Summer. I'm either out of the loop or ahead of the pack!! Either way, out of sync. Just my style! Ha! But everything is vintage with me. I so love your post! I didn't know about the magazine, so thanks! That Country Living? is definitely CL. The next from pinterest is PB. I've always loved that one from CW. The rest are fab too. I'm no gardener, but I LOVE potting benches! Can't wait to see yours. Take good care. Praying for a peaceful & healthy heart for you! I am praying for you. Good luck. Thanks for hosting. I enjoyed all the inspiration pics of potting sheds. I really need to establish one. I pray for good results with your tests. i've been in love Carolyn Westbrook--yes, i love her--ever since i read about her in a Victoria magazine about 20 years ago. i've coveted a sofa from that article ever since. do you think she'd let us move into her house? my prayers are with you. not sure what the tests are for, but i am sure you will be fine. Good luck with your tests. I will be praying for you! 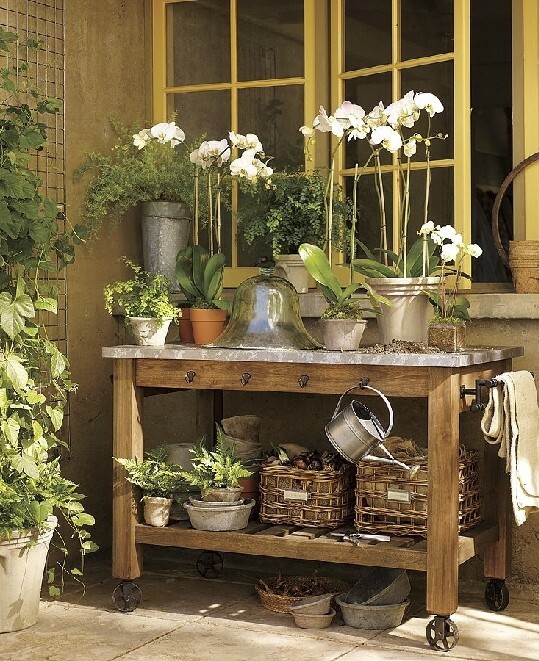 Great photos of gorgeous potting benches....maybe some day I'll have one! Hope everything goes well, and I will be praying for you.... everything is so beautiful~~~ thanks so much for hosting!!! Thanks for hosting such a great party! 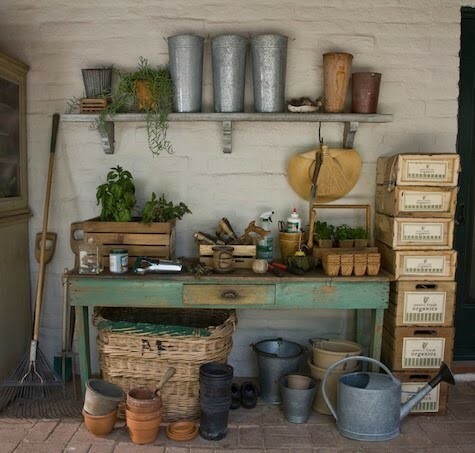 I am definitely inspired to fix up my potting bench now! I will be praying for you! Dear Debra, adore all of your potting bench inspiration! What could be better than pottling around your potting bench?!! Also sending prayers your way hoping that the tests are all nothing to worry about (I myself have been suffering from chronic chest pains for over a year ever since I got the H1N1 - thankfully all the tests show that these pains are not dangerous, but still quite unsettling nonetheless). Keeping you in my thoughts and prayers today Debra! Thanks for the sneak peek...can't wait to see more! That Carolyn is the queen of stylin' isn't she? I'm praying for you right now and always. P.S. If you need me...holler...I'll come running. P.P.S. If I go MIA...check Johnny Depp's house! 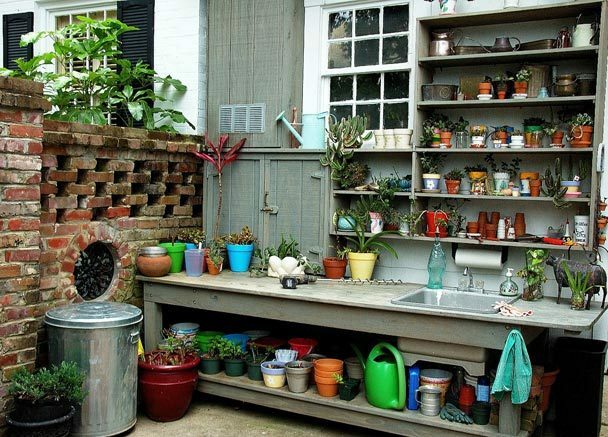 I love these potting bench ideas... great inspiration! thanks for sharing! Debra, thanks for sharing the wonderful garden bench photos... makes me want to go dig in the dirt! Thanks for hosting another fun party. Alot of wonderful gardening inspiration in your post. I leave the gardens up to the gardners for I am not one of them. Hmmm. Mama needs a new potting bench! Sending warm thoughts and positive energy your way; be well. Hi Debra, You are in my thoughts and prayers as you go through the test today. 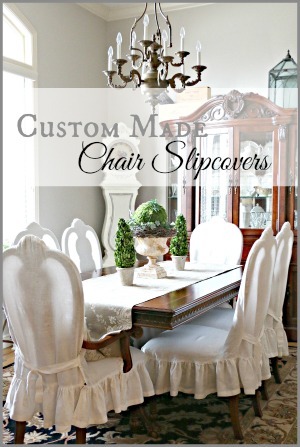 The inspiration photos are wonderful and I know your potting bench will be just as fabulous. Take care. My potting bench is ready for the scrap heap, love all of these beautiful ideas. I'm joining the party for the first time, thanks for hosting. 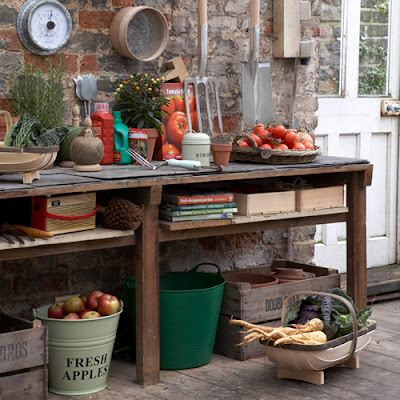 I do love a potting bench, and yours looks like it will be wonderful. The photos of the other ones are gorgeous. Hope all is going well with your tests. Good luck with the potting bench. 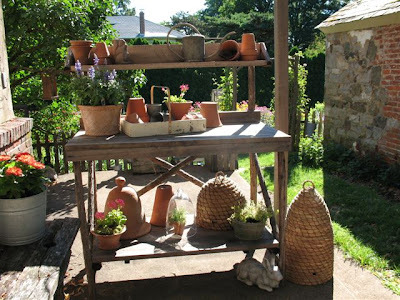 I do not have a potting bench, but all those great photoes, could inspire me, for sure. the heart of every gardener will beet heavily (and heavenly) when one see your fabulous photos of garden working places. Waht a great idea to spray the flower pots with chalkboard color. So cute! 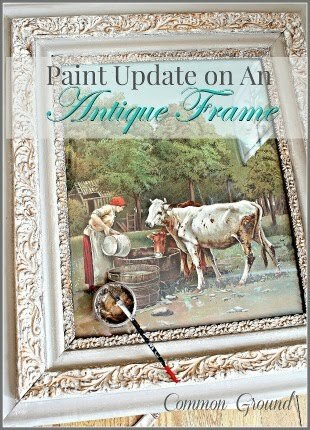 Thank you for hosting Vintage Inspiration Friday, I am joining in today again. 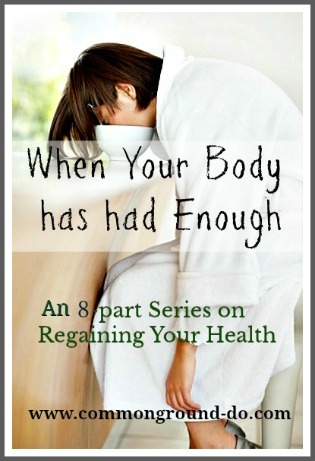 Thanks for linking up Debra! Loved all your wonderful ideas on potting benches. They are so much fun. 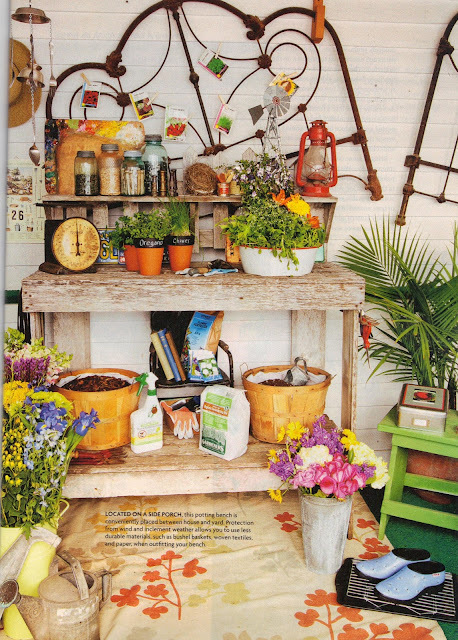 Love all the potting bench ideas! My potting bench is buried under a pile of things that did not get put back in their rightful place during this busy time of the summer. It will get back in order soon. Thinking of you and praying for you also. I love your blog. Thanks for sharing your story and your faith. We go through things not just for ourself but to share it with others. You are an inspiration that while you have these daily struggles you bring sunshine and joy into the lives of others. I will be praying for you.